View your active plans by clicking here. Step 2. 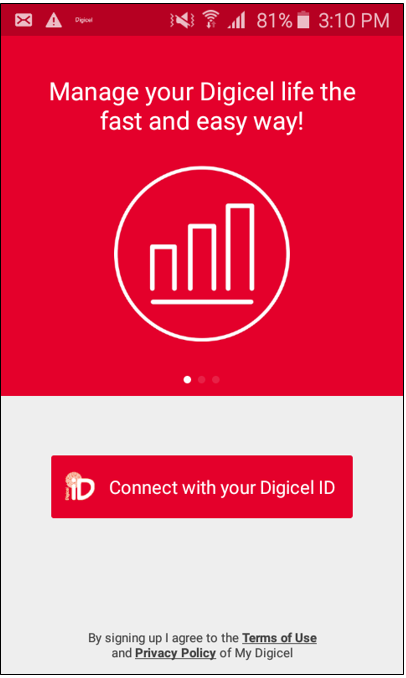 After logging into the My Digicel App, from the Home page, look out for "Active Plans". 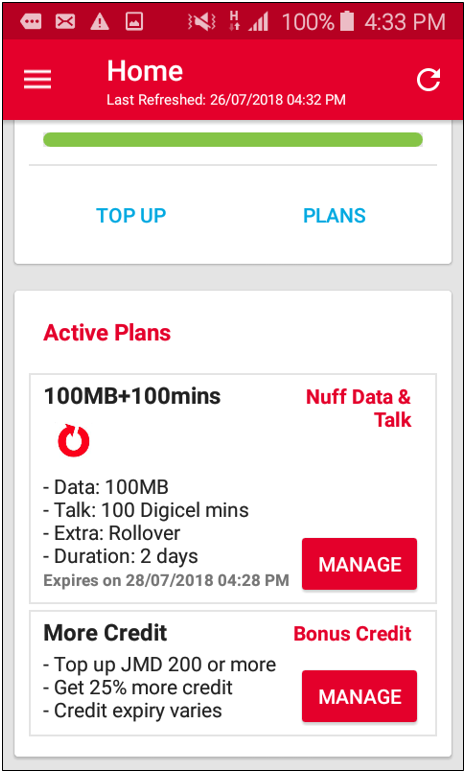 From here, you are able to see what plan is active and when the plan expires. Step 3. You also have the ability to manage your account from here. 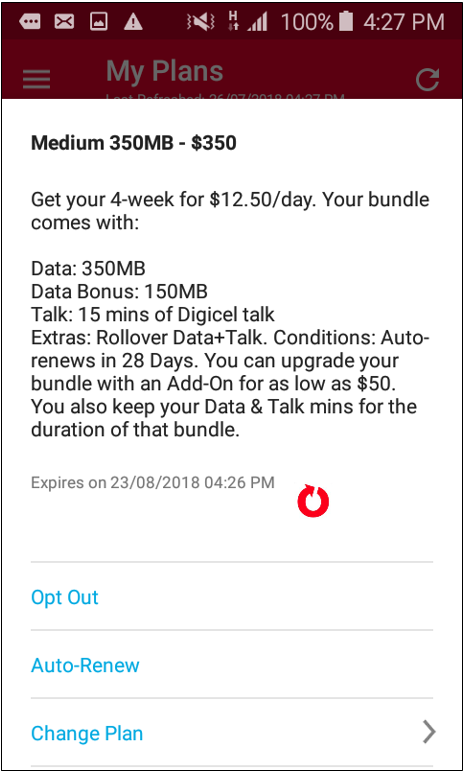 You finally have the ability to upgrade the plan, giving you more data.